Even though I want it to be Spring so badly, the weather isn’t exactly co-operating. Last week we had inches and inches of snow, and right now it feels like hurricane force winds are blowing about. It’s because of this that I don’t feel quite right picking out some Springtime pastels. 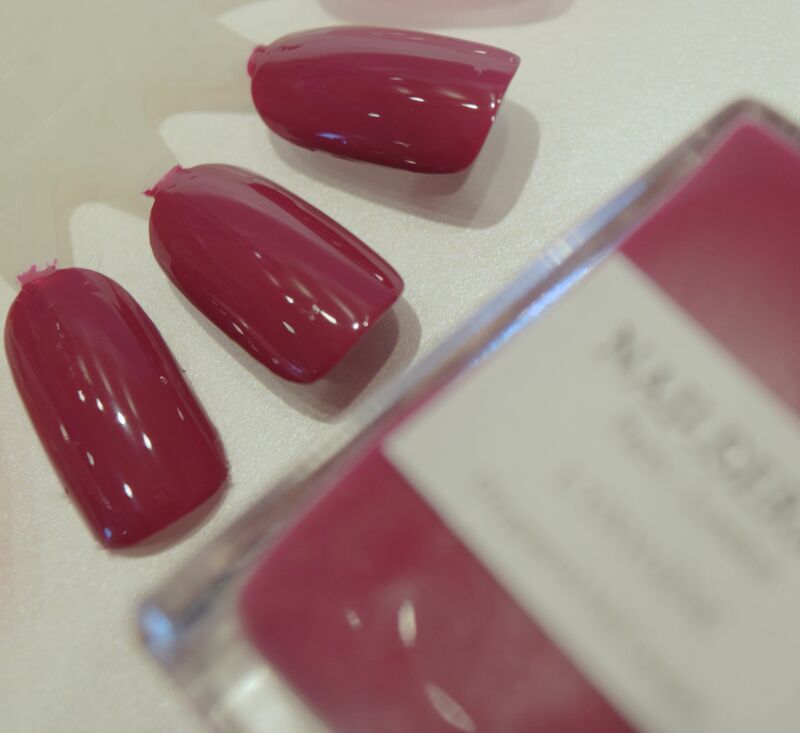 Instead, I’ve been reaching for the rather gorgeous Raspberry nail polish by Nailberry. I’m in love with the polish, which sits somewhere between a juicy red and purple, and it’s a lovely stepping stone between my habitual dark winter manicures, and the lighter shades I tend to plump for in the spring. The formulation of the polish is perfect – two thin coats give the more perfect opaque and creamy coverage without a streak or a smear in sight! 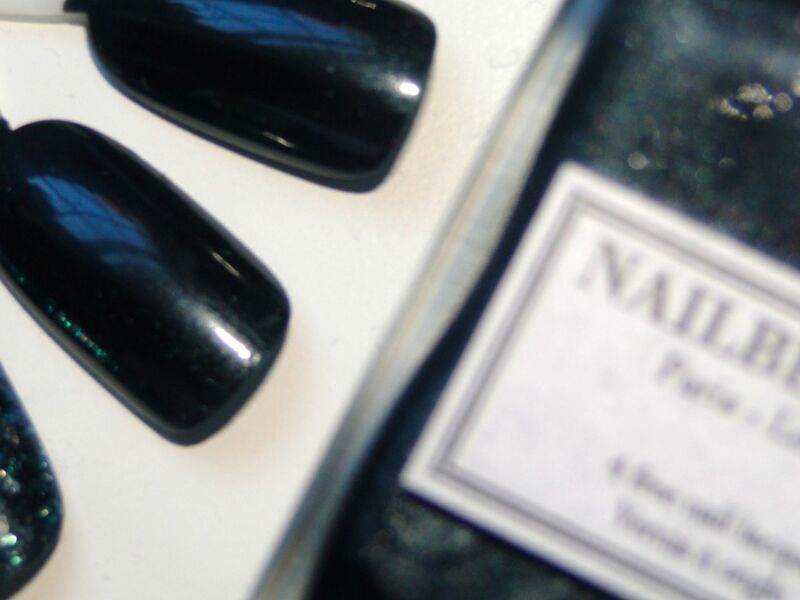 The Nailberry brand was developed by a professional manicurist, and the expertise really shines through. 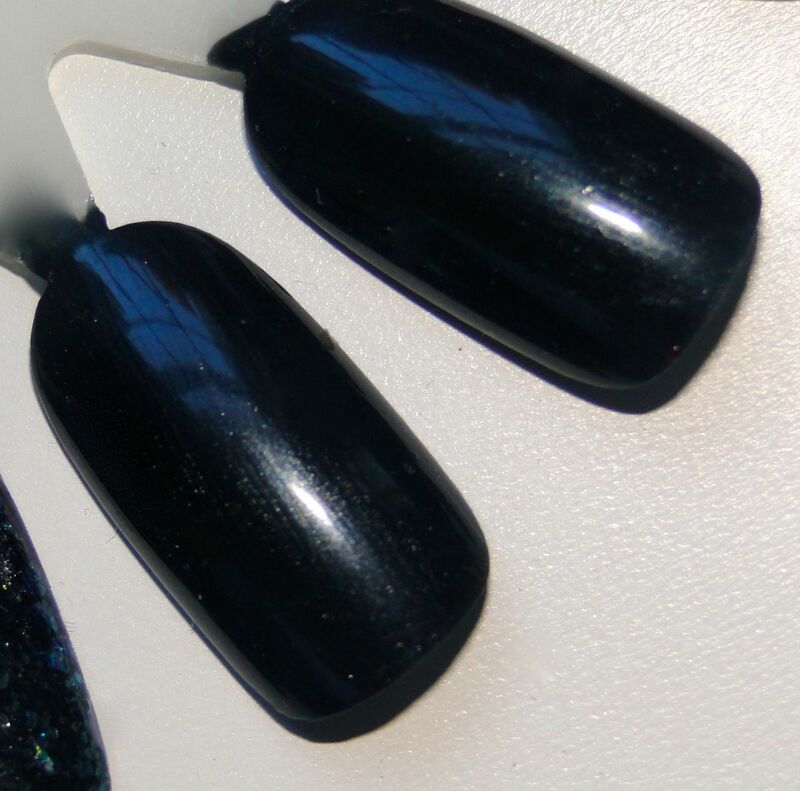 As well as gorgeous colours, the long, thin brush means controlling the polish is an absolute breeze, and getting professional looking results at home is super easy! Even on my nails, which tend to chip and peel ridiculously easily, I get 3-4 days wear, and the colour stays bright and glossy. Nailberry nail varnish costs £14.50 and is available here. With the weather taking a decided turn for the worst, dark nails have become something of a go-to for me. They feel chicer than bright colours, plus they match so well with my winter clothes, which are mostly greys and black. I’ve loved Nailberry polishes for a while now, but had only played with their neutrals and brighter offerings. When I saw Storm, I just had to try it! Described by Nailberry as a sheer blue-grey the formula was super easy to apply, and I loved that the colour was so build-able. The first coat gave a sheer wash of shimmering grey, and it took three coats to get it fully opaque. At first glance, it looks like a rich charcoal grey, but when the light hits it, the shimmer in the formula completely fires up! The finish of the polish is a gorgeous jelly, but I applied a gel topcoat to gee it a high-shine finish. This meant that the shimmer seemed even more noticeable. I got a good 3 days of wear before a little chipping around the tips, which is an absolute lifetime for me! The polish costs £13.50 and is available here. 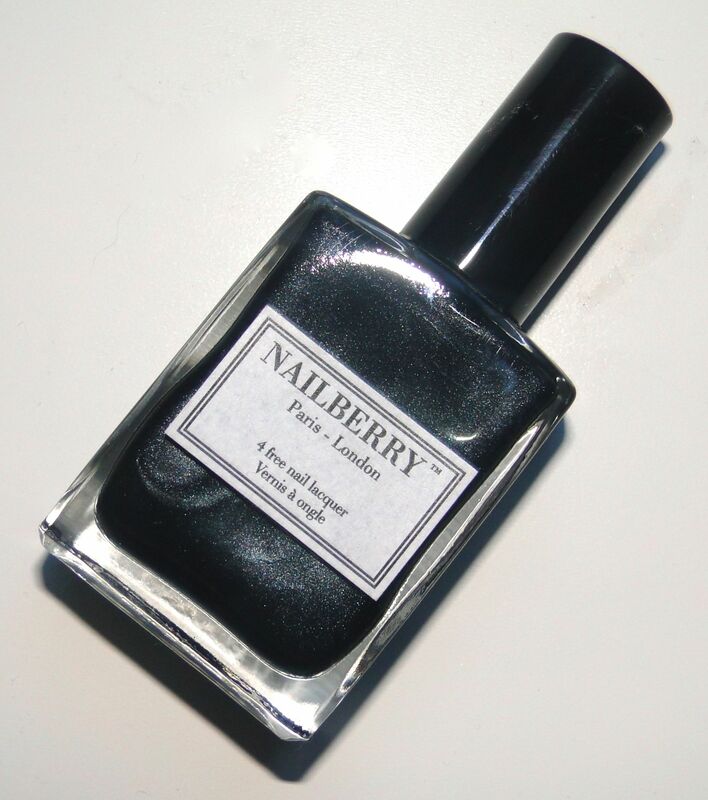 I’ve developed quite a ‘thing’ for Nailberry laquers, their colours and formulas are pretty much to die for! For such a new brand they have the most gorgeous selection of colours, and their newest range has the promising title of ‘Naughty Berries.’ The 6 polishes range from reds to midnight blue, and I have the most beautiful, ready for summer shades to share! Coquine is a blue-toned lipstick-pink polish which is the chicest way to start to add a pop of colour to my mostly monochrome outfits. The colour looks great against my skin (despite the fact I’m basically see-through) and I can’t imagine how perfect it will be with a tan! It’s also the perfect colour for a pedicure as it’s pretty bright. The formula is perfect – it’s a little thinner than other brands, but the colour applies evenly, it doesn’t streak and it dries in record time! Pop My Berry (see, naughty name!) is a stunning, almost neon red polish. 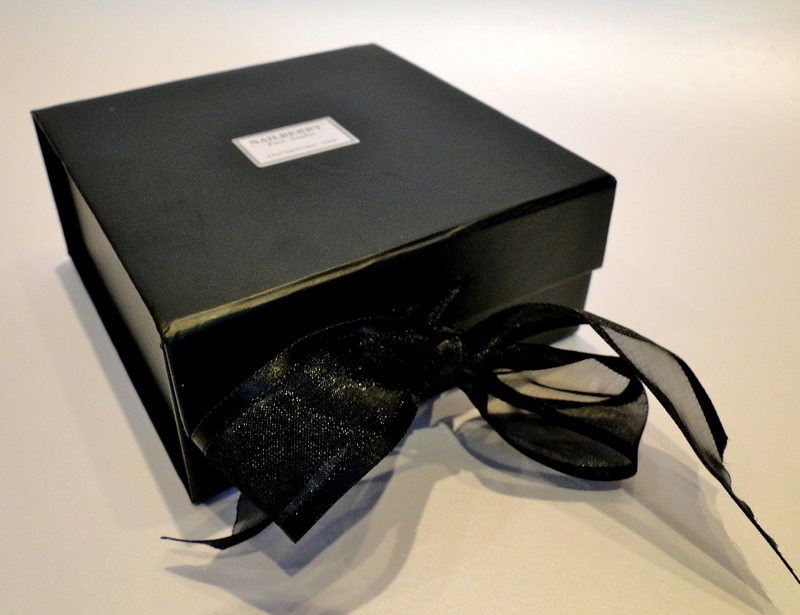 It’s begging to be worn with a pair of dark skinnies, a breton top and some French joie de vivre! 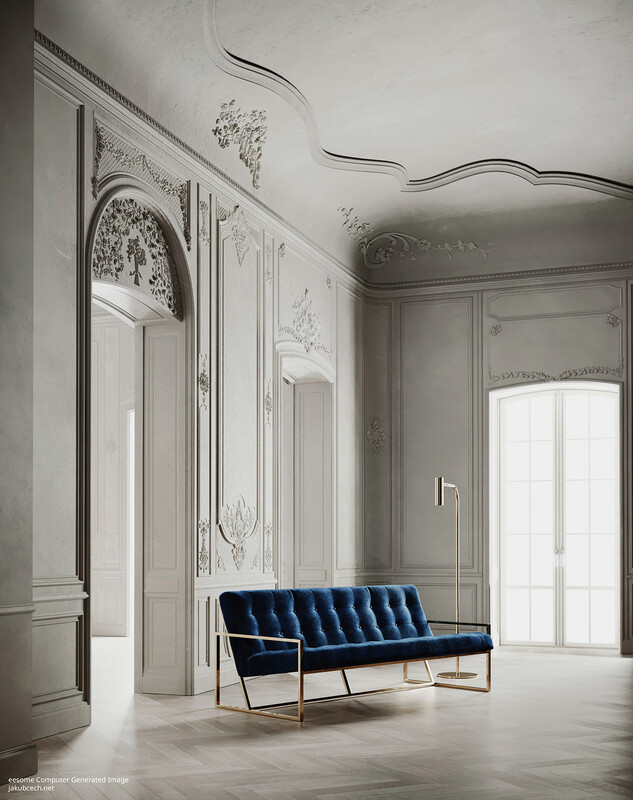 Like Coquine, the formula applies like a dream, and it dries to the shiniest of finishes. There is a slight touch of orange in the shade which makes it pop, and it really is just divine! I’ve shown the polishes on my little nail wheel to save you the horror of seeing my stubby little digits, but aren’t the polishes just the best?!!? The polishes are priced at £13.50 and are available here.